In addition to his broadcast work, Darling has become a New York Times bestselling author of the books Game 7, 1986, and The Complete Game. Darling takes a new look at his playing and broadcasting career in the new book 108 Stitches. Just as he did with Game 7, Darling tells his stories with an honest candor you don't often see today, combined with his true love for the essence of the game. He knits together wonderful stories from myriad players and coaches he has competed with, along with a thoughtful reflection showing the full arc of a life in and around our national past-time. The title derives from his feeling that the memories and acquaintances he has collected in his time in the game are as varied as the 108 stitches required to sew the cowhide around each baseball. "A lifetime in the game - my lifetime in the game - leaves a certain trail," Darling writes. "Better, a certain footprint. And in this way I have walked alongside every athlete who has ever put on a uniform, every coach or manager who ever sat in a big league dugout, every fan who ever played hooky from work or school and sat in the stands for a mid-week day game. "We're all rounding the same bases. "This well-trodden path leaves me thinking, more than forty years after I left home for the wilds of New Haven, Connecticut, to pitch for a Yale baseball team that had once been captained by a left-handed first baseman named George H.W. Bush, who led the Elis to appearances in the first two College World Series, and had once been coached by the legendary Smoky Joe Wood, who had once been a teammate of the great Babe Ruth on the 1915 World Series Champion Boston Red Sox, who had once reportedly hit a ball over the center field Green Monster - 440 feet in his time. Indeed, the thru-line that runs through our national pastime can sometimes seem to stretch a country mile - the combined length, not incidentally, of all those wool and cotton strands used to wrap the cushioned cork center of an official major league baseball, onto which those of us in the game might find the six degrees of separation that connects every player who's ever put on a big league uniform." Since Darling came to the Mets in 1983, he has seemingly played with or reported on everyone in the game of baseball. He tells stories about Hall of Famers Willie Mays and Tom Seaver, and reminiscences that stretch back to Babe Ruth and other turn-of-the-century greats. 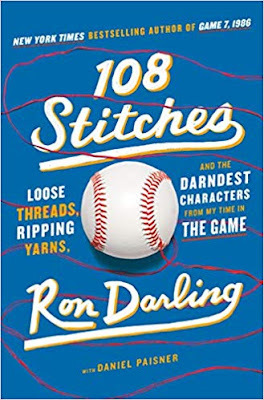 Some of the stories and insights you will find in 108 Stitches include: How broadcasters have to recognize and reinforce aspects of the game that younger fans can relate to. In Oakland, at the end of his career, he noticed how his A's teammates seemed to play as refreshed in the "dog days of summer" as they were on opening day, and that it should have raised alarms. Darling writes of his last days in the major leagues, and how a player confronts that the end of the road has arrived. He writes about how his mentor Al Jackson showed him the ropes to become a major league pitcher. He also talks about how, when he was 25 years old, he was entranced at a dinner as he talked baseball with one of the biggest fans of the game he'd ever met, the movie star Lauren Bacall. There is a chapter titled "Some Crying In Baseball" in which Darling looks back on some of the most touching moments he has witnessed. One moment as a player came when he and the Mets were celebrating winning the 1986 World Series and he looked over to the Boston Red Sox dugout and saw a weeping Wade Boggs. 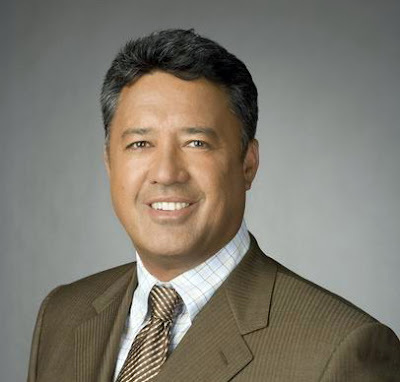 He writes how, as a broadcaster, in 2015, he watched Mets shortstop Wilmer Flores get teary-eyed on the field when it looked like he was going to be traded to the Milwaukee Brewers. Darling writes of what really tugged at his heartstrings when he was with the Mets, "The most emotional I ever was as a ballplayer? It would have to be when my buddy Ed Lynch was traded to the Cubs in 1986. He'd been my best friend on the team since the day I came up - and to this day, we remain close. Eddie's gone on to do some big things with his life. He got his law degree from the University of Miami, become one of the game's top scouts, and was the general manager of the Cubs for a stretch. He's a very bright guy and we just seemed to click. "What a lot of Mets fans don't remember was that Eddie had a solid 1985 season for the Mets, but he made only one appearance in 1986 before going to the DL with torn cartilage in his knee - and with the core of talented young pitchers on that team, you did not want to step away from the mound for too, too long. It was that old Wally Pipp scenario writ large, only here you had five or six Lou Gehrigs lined up in the bullpen ready to push you from your post. "The fact that the 1986 Mets would go on to win the World Series and become one of the most iconic teams in New York City sports history only made me feel Eddie's departure more keenly. He felt it, too. He once told me it was like waking up on Christmas morning and finding out you were living with some other family. "When you get traded or released, your standing changes in an instant. One moment, you are such a part of your team, and the next you are so not a part of that team. The suddenness, the immediacy, the finality...it can feel awful when you're on the inside of it. It can be so impersonal - like the stories you hear from the corporate world, when someone gets fired and it swiftly escorted from the building. Someone packs up their belongings and sends it on to them - that's how badly they don't want you around after they let you go. "They don't even want you to say goodbye. "On a selfish level, Eddie's departure changed my life away from the stadium. There were only four of us on that team living in Manhattan at the time - Eddie, Keith Hernandez, Danny Heep, and myself. We had our own little fraternity within the larger Mets fraternity. After every Sunday day game, we'd go to Tokubei on the Upper East Side and eat sushi until we couldn't breathe, and at some point we'd spill out onto Second Avenue and Keith would do his Mendy Rudolph impersonation in the middle of the street, and we would be doubled up laughing and counting out many blessings and moving about like veritable princes of the city." If you enjoy listening to Darling call Mets games with his fellow 1986 Mets hero Keith Hernandez and Gary Cohen, you will enjoy his thoughtful recollections on a life in baseball in 108 Stitches.